This topic contains 1 reply, has 1 voice, and was last updated by Mike Haldas 2 months ago. Which cameras are compatible with a Night Owl AHD7-DVR8-2TB DVR? The Night Owl AHD7-DVR8-2TB DVR is compatible with analog CCTV cameras, 720p AHD cameras and 1080p AHD cameras. There is not much of a price difference between low definition analog CCTV cameras and 1080p analog high definition security cameras, so CCTV Camera Pros recommends going with the high resolution option. You can find many different type of 1080p AHD security cameras here. We have bullet, dome, indoor, outdoor, infrared, and PTZ type AHD cameras. Another customer recently contacted my and asked the following. I have the NIGHT OWL 960 VIDEO SECURITY FOR 8 CHANNEL WITH 4 CAMERA SYSTEM MODEL F6-81-4624-N-BF. I am looking for security cameras that are compatible with this system. I am so confused on what cameras will work. I need to get the right camera that will work with the existing Night Owl cables and DVR that came with this system. This is what I recommended. The Night Owl DVR that is included with the F6-81-4624-N-BF system is a 960H analog CCTV DVR. It is compatible with any of our 4-in-1 HD security cameras. One of the great things about our those 4-in-1 selectable format cameras is that in addition to supporting the standard analog CCTV format that works with your existing DVR, they also support three of the most popular 1080p HD video formats. 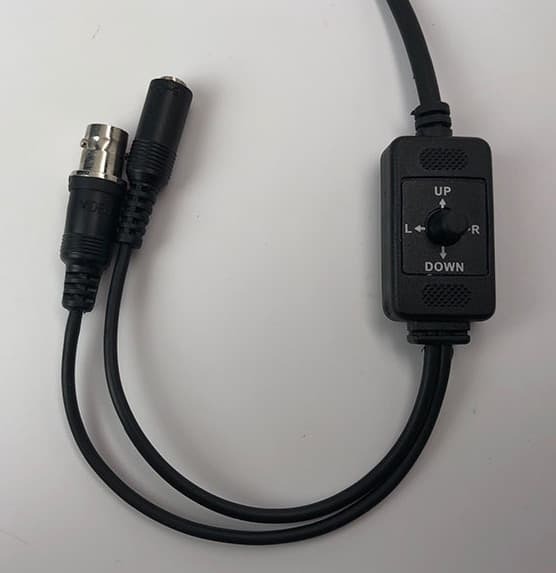 Here is a picture of the small joystick that is attached to our 4-in-1 cameras that allow you to select the video mode by holding the joystick in one of the 4 directions for 5 seconds. These selectable video modes mean that if you can later upgrade to a high definition DVR and your cameras will still work. You can just switch them to the 1080p AHD or HD-TVI video mode to work with the new DVR. I highly recommend these iDVR-PRO AHD hybrid DVRs when you are ready to upgrade. If you have any questions, I can be reached via email at mike@cctvcamerapros.net.